After Italy entered World War II on June 10, 1940, enemy aliens and foreign Jews were arrested and interned. 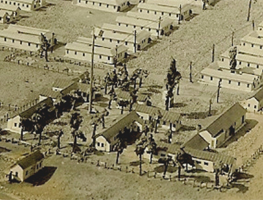 They were placed in Italian-run concentration camps or in small towns off the beaten path. 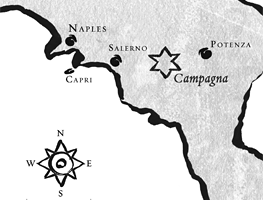 The two largest camps were Ferramonti, located outside of Tarsia in Calabria, and the Camp of San Bartolomeo, located in Campagna - a small town in the mountains south of Naples. Many others were sent to a system of Free Confinement called Confino Libero where Jews were sent to live in small towns in Italy but had certain restrictions placed upon them including limitations on travel, mandatory curfew and daily police check-ins. When Germany invaded Italy on September 8, 1943, all Jews were confronted with deportation and death. MY ITALIAN SECRET: The Forgotten Heroes was written, produced and directed by Oscar nominee Oren Jacoby. MY ITALIAN SECRET tells the story of brave Italians, including Gino Bartali - the famous cycling champion, who defied the Nazis and Fascists to hide, rescue and protect thousands of innocent Jewish people and others in Italy during the Holocaust. The film, which will be in theaters in March 2015, is narrated by Isabella Rossellini with Robert Loggia as the voice of Gino Bartali. © 2014, Italy and the Holocaust, Inc. All rights reserved.